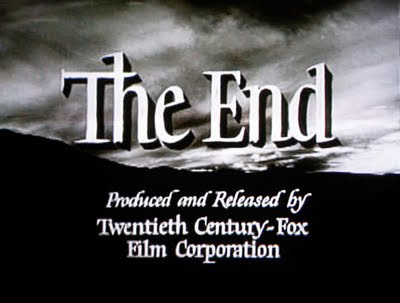 In preparation of the Puddles hiatus, Alex Theoharides presents his thoughts on the nature of endings in music, movies and literature. We're in the middle of "Pre-Hiatus Week," my Puddlers, and I hope you have been enjoying yourself and managing to stay cool. Today, Alex Theoharides is going to share his thoughts going into this hiatus. Remember, this is just a hiatus and he and I will both definitely be back on the other side to bring you more of our wit and wisdom. I don't want to give his post away, but I want to wish him congratulations and I think you all should as well. Now you're curious aren't you? Well, I won't stand in your way. Without further ado, here is Mr. Alex Theoharides. Most pop songs end with either a tempo change/fadeout (The Beatles’s classic, “A Hard Day’s Night”), a dramatic key change (Wilco, A Ghost is Born), a variation in the number of instruments being played (The Beta Band’s“Dry the Rain”) or some combination of all three. There’s nothing particularly original about these sort of song endings. In fact, the last three seconds of most songs sound more or less the same. Is this a result of some lack of ambition by pop artists? Or is merely, that our (to be clear, our universal) understanding of how to reach an ending is limited. As you might guess, I lean toward the latter. Partially because I have little desire to throw out my rather substantial record collection (#humblebrag no. 1), and even less to criticize friends such as my talented freshman year roommate, Mr. Erik Gundel, who have devoted years of their life to the study of pop music (#humblebrag no. 2). The truth is that I know very little about music theory, certainly not enough to offer any real critique. However, I do know what my ears tell me, which is that there is a limited sound to endings. Literature, on the other hand, is a field in which I’ll hold my rather near-sighted eyes up against anyone else’s. I know books; God knows, I’ve wasted most of my life reading them. And I know that there is a similar lack of variety in their endings. How do our classics end? Really, only in two ways. First, there’s the Pandora’s box format, e.g, bad things happen, characters make all the wrong choices and mess everything up, only to find a glimmer of hope in the end. Take Salinger’s ending to Catcher in the Rye. Holden Caulfield decides not to flee his problems, he reveals that the whole books is a journal he’s keeping at a mental institute, and as he bids us, adieu, he rather optimistically mentions that he’s planning on going to another prep school in the fall. A similarly hopeful ending can be found in Dostoevsky’s anti-climatic epilogue to Crime & Punishment, in which Raskolnikov discovers religion as a way to escape from his guilt and self-loathing. Then there is the much more common, “wasteland” ending, perhaps best evidenced in Flannery O’Connor’s short story, “A Good Man is Hard to Find,” when a drive through the forest ends with a character, referred to as the Misfit, killing an entire family, then debating the validity of Jesus with an old lady, who begs him not to, “shoot a lady,” and calls him “one of my own children,” before he shoots her as well, and says that the old woman could have been a good woman if someone had been around “to shoot her every minute of her life.” The prevailing sentiment of the story, and of all of O’Connor’s work, is that life has no true pleasure, and even less worth. Similar endings can be found in all texts by writers that were born in Ireland, fought/endured a war, and/or experimented with hard drugs and alcohol. So now, it seems that endings tend to sound and read the same. “How about in film/ television?” you ask. Both genres, for the most part, fit the dichotomy established for literature (standouts such as The Shawshank Redemption and Six Feet Under fitting into the first category, while The Godfather trilogy and The Wire correspond with the latter). However, film and television each introduce a new twist into endings—their limited importance in modern culture. The Godfather Part I & II are arguably two of the greatest films of all time, but Part III, for numerous reasons (including widespread disinterest from the director, producers and actors) sucked hard. Likewise, the final seasons of many of many popular shows, including The Wire, The West Wing, and Lost have all sucked. Somehow these poor endings have in no way cheapened the overall value people hold for these shows and movies. Which begs the question, do endings really matter? And if they don’t, then do we need to shift more focus to beginnings, to the origins of our favorite pop art? Full disclosure, I’ve never had much use for endings. As a kid, I used to throw the end of my epic foosball matches with my dad and sisters so they would want to play again. When I ran cross-country, it was almost as common for me to stop mid-run as it was for me to finish a race. I celebrated the end of high school by breaking up with my girlfriend, having jaw surgery, and largely, being a mess. In college, I was known for my perpetual habit of pretending to get up go to the bathroom, only to peace out for the rest of the night (Yes, I just used the expression “peace out”). And for the last several years, I’ve spent most of my free time typing away at various novels, every typed word seeming to propel me further and further away from ever reaching the end. I know that I’m not alone in my struggles. Mr. Matt Domino will surely tell you, in an upcoming post, that there is no end is sight for his blog of puddles. This is a break, an extended leave, a chance to focus on fiction and on improving the layout of Puddles of Myself. He’ll be right, of course, and these are all admirable reasons for going on leave. However, this “break” is still, in a way, an ending. A break from what Puddles of Myself was, to what it will become. And for me, it seems to fit nicely with my latest attempts to try to adapt to the idea of endings, of reaching out and actually touching the yellow finish line. In less then a month, I will be getting married, which I should note is not an ending, in any cliché, “end of my freedom,” sort of way. Rather, it is an ending to the way in which I’ve grown to think about myself over the past dozen or so years as a boy, selfish, a loafer through life. I will have to learn to see myself in a new light, to think of myself as a husband, and hopefully, as a less selfish, and less loaf-full, individual. Thanks to Matt Domino for the space. Hey Alex, thanks for that kind mention. I will be the first to admit that when I'm trying to end a song, my ambition flounders, I get a little lazy, and the ending can tarnish an otherwise good song (humblebrag #3.) The modest ones seem abrupt, the extravagant ones seem unearned. I tend towards simple endings, and from what it sounds like, you do too. No extravagant ending needed for the life of a bachelor, you're moving on to something far better. Congratulations! Like it. But, the last season and ending of the wire were terrific.